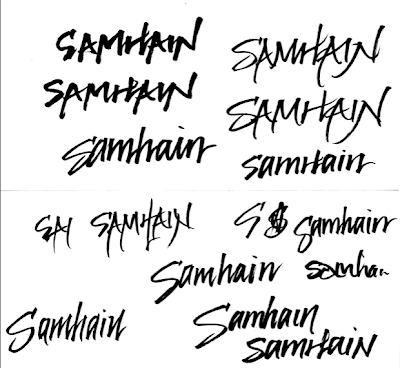 For the first Studio Sunday after my little blog vacation, I thought I'd share the steps for creating yesterday's image for Samhain. 1. Go out into the garden and take photos. 2. Choose one of a hosta leaf and open it in Photoshop CS 6. 3. 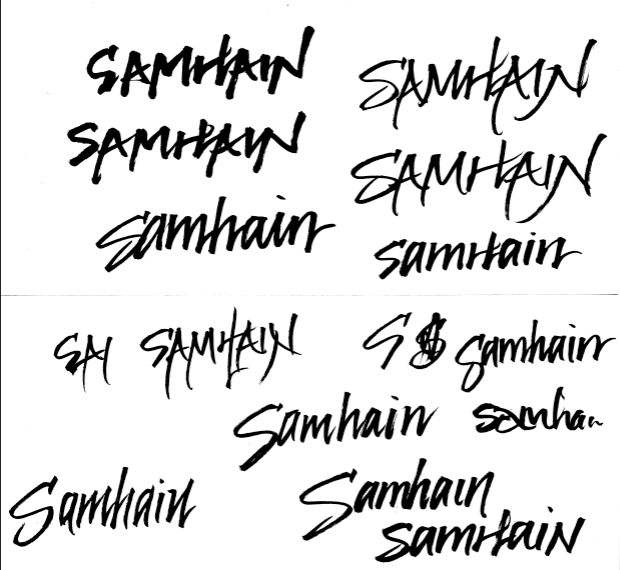 Write Samhain multiple times with my Pentel brush pen and scan into computer (600 dpi, black & white). 4. Choose one and open it as a new image. 5. Convert image to rbg color. 6. 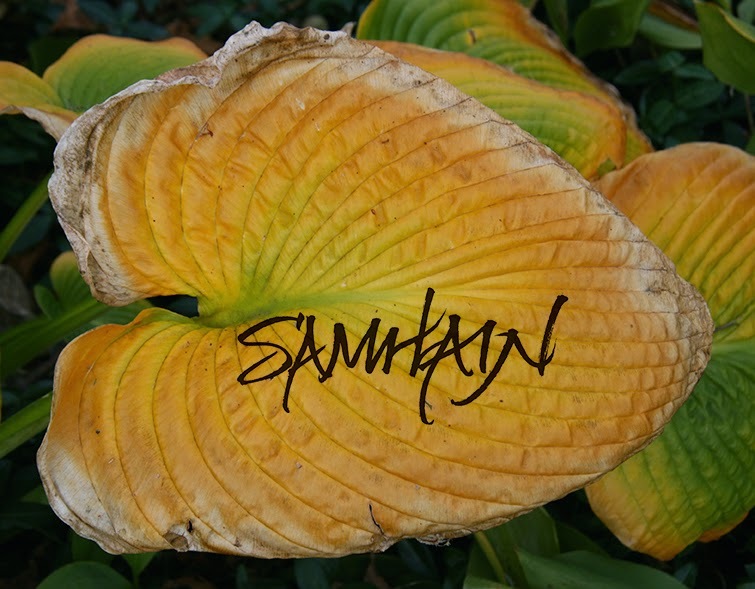 Add a second layer, select a dark brown from the leaf image with eyedropper tool, and fill the new layer with the color (paint can). 7. Change layer from Normal to Screen. The word is now dark brown instead of black. Flatten image. 8. Duplicate layer and place it on the leaf image. 9. Change layer from Normal to Multiply. Adjust size and placement. May I add that my knowledge of Photoshop, such as it is, has been acquired in a haphazard manner. I make no claims to work efficiently. and have a good eye, deep heart and a beautiful hand!